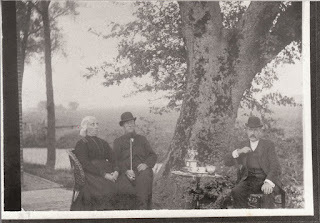 This picture of my paternal great-grandparents, Wypke and Elisabeth (nee Wynia) van Popta, was taken circa 1900. To the right is their son Jelle (after whom my father was named). Wow old picture still you have.